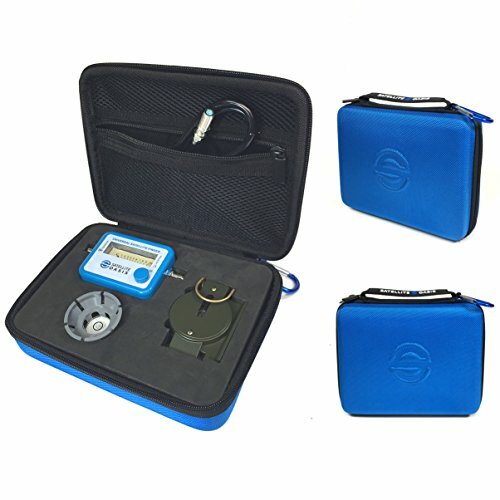 The Satellite Oasis Satellite Finder Kit is a high quality kit that includes items to help point your satellite dish antenna. Our branded meter is of a higher quality that most SF95 meter on the market. The meter can function on DISH, Directv (except SWM technology), and FTA satellite antennas. Includes: SF95 Satellite Finder, 3FT RG6 Coax, Liquid Filled Military Style Compass, and F81 Barrel Connector. The 3FT RG6 connects to your LNB, the Signal Finder to the RG6, and you use the Compass to help finder the direction you aim the dish. The F81 barrel connector is to connect the satellite receiver coax and the 3FT of coax from the LNB once pointing the dish is complete. If you have any questions about this product by Satellite Oasis, contact us by completing and submitting the form below. If you are looking for a specif part number, please include it with your message.